Bliss Pet Service is a company specialized in International Transportation of pets. Bliss aims at offering a service strongly oriented towards the animals’ needs: dedication and care distinguishing our work as well as our love and respect for them, together with professionalism and competence. Our philosophy led us to start this organization in 2011 and it enabled us to achieve extraordinary results and an incredible fast growth in a very short period of time. We have become the reference point in Italy in this sector: we have partners, accurately selected, all over the world. We are a member of the International Association IPATA and our company is the only one in this industry having a quality management system ISO 9001:2015. Our staff members are highly specialized and have obtained the IATA LAR (Live animals Regulations) certification. The owner and CEO of Bliss Pet Services, Francesco Argirò, is currently serving as active member of IPATA (International Pet and Animal Transportation Association). 7 Countries served in Europe, Europe is BLISS! Do you have to ship your pet from one of the main European capitals? Bliss Pets can assist you! Bliss Pet Services is present in Europe serving the following countries: Italy, Spain, Portugal, Germany, Switzerland, Greece and Luxembourg, with operational offices that will be able to assist you with the shipment of your pet worldwide. We offer a service that is strongly focused on the needs of our furry friends. By firmly complying with the pet’s transfer procedures, we can guarantee a service for the transfer of your furry friend as a VIP (Very Important Pet). Protection: compliance with strict procedures and thorough and detailed checks enable us to offer safe journeys. We have also created exclusive services for the full protection of your Pet throughout his/her entire transfer. Empathy: before being professionals, we are daddies and mommies, just like you! Safeguard: we support animal protection associations. Their respet and safeguard mean everything to us! Stress-free: the only thing you have to think about is the moment you will re-embrace your furry friend. Leave the rest to us! Safety: we check each and every aspect related to the transfer of your pet. Our objective is not only to make your furry friend travel in the best possibile way but also to make him/her travel as a VIP (Very Important Pet!). We are members of the most important association dedicated to the transfer of Pets Worldwide! IPATA is an international association composed of professionals in the relocation of domestic animals in the world. The association has 350 members in 70 countries. The IPATA agents are the most qualified specialists in the world to ensure maximum safety due to our animal friends. We make donations aimed at the protection of animal species. Liberi di galoppare: protection against cruelty related to horses, ponies, donkeys, and mules. Bliss Pets is a part of the Bliss Corporation group. The group specialized in the transfer of families and corporate personnel worldwide ! 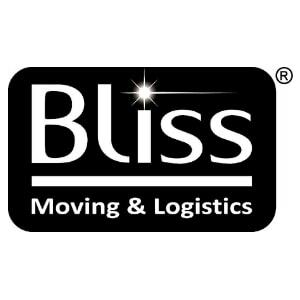 BLISS Moving & Logistics is a company specialized in Removals, National and International Transportations and Shipments, Third Party Storage, Storing of documents and Integrated Logistics services. Bliss Pet Services deals with the international transfer of pets, with 7 offices throughout Europe and a capillary presence in the main international airports. Bliss Relocation offers a wide range of services dedicated to the relocation and immigration of families and companies throughout Italy and the world. Choose Bliss Pets to ship a pet abroad. Choose the specialists for the transportation of your furry friend.